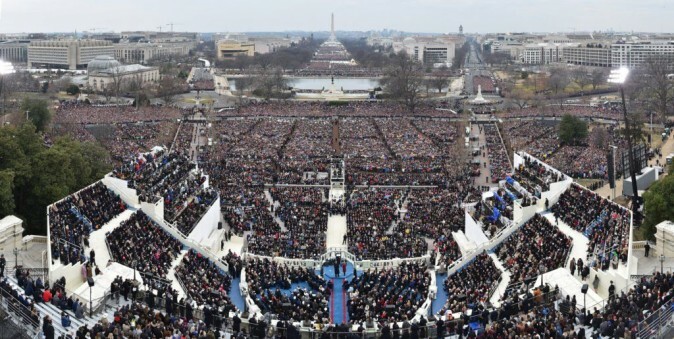 Over the weekend, much was made about President Donald Trump’s inauguration crowd size versus former President Barack Obama’s crowd size in 2009. On Friday, the National Parks Service Twitter account tweeted out a picture that apparently showed a dramatic difference between Obama’s crowd and Trump’s crowd on the National Mall in Washington, D.C., the Independent Journal Review noted. 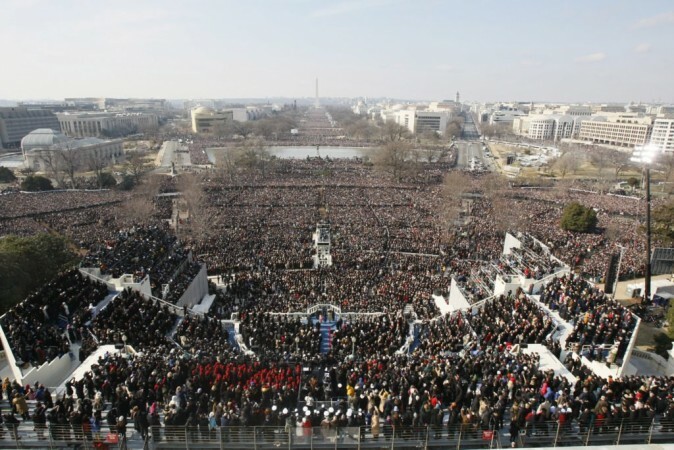 The widely circulated image that compares Trump’s inauguration with Obama’s in 2009 was derided as “fake news” by many Trump voters and surrogates. But longtime Fox News reporter Brit Hume, who was reporting on the inauguration from the ground claimed AP’s and the New York Times’ claims were deceptive. Hume said that the picture shown at Trump’s inauguration was taken earlier and the area “was considerably” fuller during Trump’s speech. Trump supporters cited a CNN ultra high-resolution “gigapixel” photo that was taken behind President Trump during his address, showing a discrepancy between the overhead shot that shows a great deal of white space. Some noted that the viral photo was taken hours before Trump’s inauguration ceremony. Reports say that 1.8 million people went to Obama’s 2009 speech. Trump, in a speech to the CIA on Saturday, made a reference to the crowds. “It looked, honestly, like 1.5 million people. Whatever it was, it was, but it went all the way back to the Washington Monument,” he said. However, a number of crowd-scientists disputed his claim. Reports on late Saturday said he garnered 30.6 million viewers, down 19 percent from Obama’s inauguration in 2009, according to Nielsen estimates. But that doesn’t factor the number of people watched it online, via livestreams on YouTube, Facebook, and other platforms like C-SPAN. CNN reported that as many as 16 million people were watching its livestream.